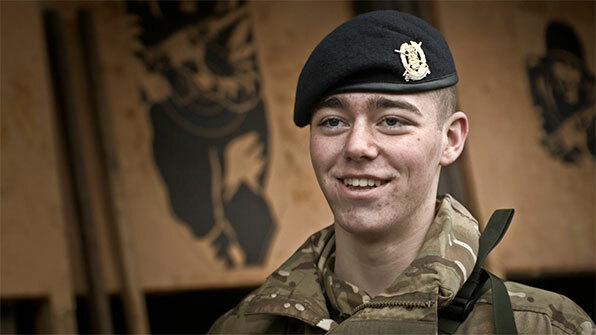 At the Army Foundation College (AFC), Harrogate we get 16 and 17 year olds ready for a career in the British Army. We can help you get the military skills, fitness and education that you need for a great start in whichever part of the Army suits you - while you earn a good wage and make friends for life. From outdoor survival to handling and firing weapons, at AFC Harrogate you'll get the same training as everyone who joins the British Army - but you'll spend longer on it, and by the time you finish, you'll know it back to front. Whatever qualifications you've got, we'll help you improve your English, Maths and computer skills to prepare you for specialised training later in your career. And what you learn will come in useful when you decide to return to civilian life too. You'll build your strength and stamina by running, swimming, and tackling obstacle courses. Plus, you'll get to take part in a huge range of sports and Adventurous Training. The standard that we expect is realistic and most people find getting really fit rewarding. You'll be given extra responsibility, helping your fellow soldiers improve and the staff delivering the training. You'll develop the kind of leadership skills you'll need to move up the ranks in whatever part of the Army you join. You'll be part of a 12-person 'section', sharing a large room, divided up to give you your own space and some privacy. It's not like living at home, but it is comfortable - and sharing helps you to make friends quickly. Males and females have separate sleeping and washing areas. There’s no doubt that life in the Army can be tough. But it’s also an incredible experience that you'll never forget. You'll get a varied life that features worldwide travel – something the civilian world just can’t match. And with all kinds of sports and activities, from scuba diving to mountain trekking, there’s adventure at every turn. Downtime is important, and you'll usually have space in the evenings and at the weekends to relax. There's a shop on site where you can buy snacks, and a club where you can get fast food, watch films, and use the internet. It's also a chance to get to know the other Junior Soldiers. Army fitness isn't all about marching and running. As well as a large gym and a 25-metre swimming pool, AFC Harrogate offers an indoor climbing wall, pitches for football and rugby and basketball courts. Facilities are top-of-the-range. with professional coaching. When you start, you'll get about £800 a month - but that's yours to spend or save as your food and accommodation is already paid for. When you've been with us for six months you'll take home about £1,000 a month. There are two courses, a long and short course. Which one you join depends on the job you're hoping to do in the Army. If you're on the short course, you'll have three weeks off, mid term, while those doing the long course will have eight weeks. Infantry, Royal Armoured Corps, Royal Artillery, Household Cavalry, Royal Logistic Corps. The qualifications that you need will depend on the job that you're going to do once you're trained and serving in the Army. Some roles don't need you to have any formal qualifications, but others (often more technical roles) look for a minimum level of GCSEs. You can find out what you need in role finder. You must be older than 15 years and 7 months to apply for the Army. There are two intakes to Harrogate each year, March and September, You need to be between 16 and 17 years, 5 months when you start. Once your application has been checked, you'll be invited along to your nearest Army Careers Centre to meet the team and find out about your options. When you're ready, you'll be sent along to the Assessment Centre for two days, where your fitness, team skills and potential to be a soldier will be assessed. Once you've passed, there are final checks to be made, then you're ready to start. When you've finished at AFC Harrogate, you'll go on to complete your specialist training, before joining the regiment or corps you've chosen. If you've taken the long course, you'll spend less tinme in specialist training - so everyone who joined Harrogate with you will join the field Army at about the same time. Each year we open up the doors of AFC Harrogate for people to come along and take a look at what is on offer. If you're interested in finding out more and coming to look around, contact your local Army Career Office and they'll be happy to book you a place. We have a programme of training and supervision designed to match the needs of young people who are away from home for the first time. Welfare is our first priority throughout, and staff are always available to speak to Junior Soldiers or their families. It's a big step, but the staff are used to helping young people reach their goals and realise their potential.